Yearning for a modern twist on farm life? You can take the man out of the country but you can't take the country out of the man! This 100% silk bow tie will take you... read more Yearning for a modern twist on farm life? You can take the man out of the country but you can't take the country out of the man! 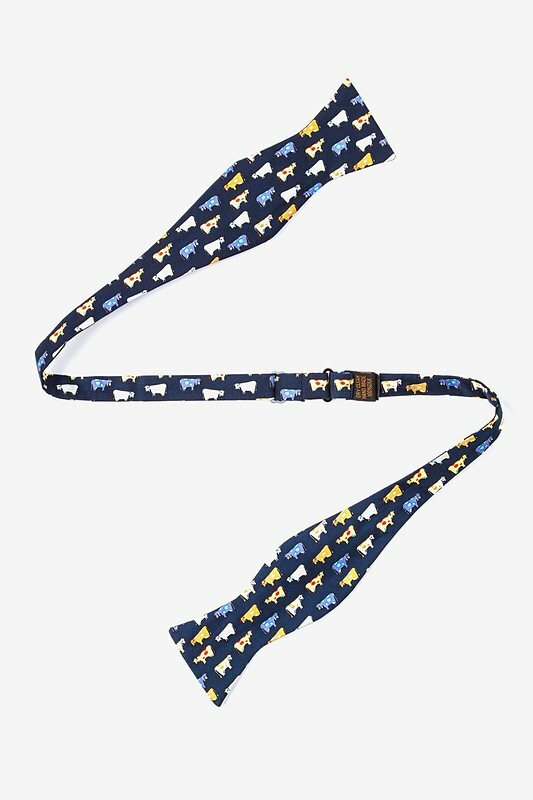 This 100% silk bow tie will take you back to the green fields of the farm with a pattern of blue spotted cows. 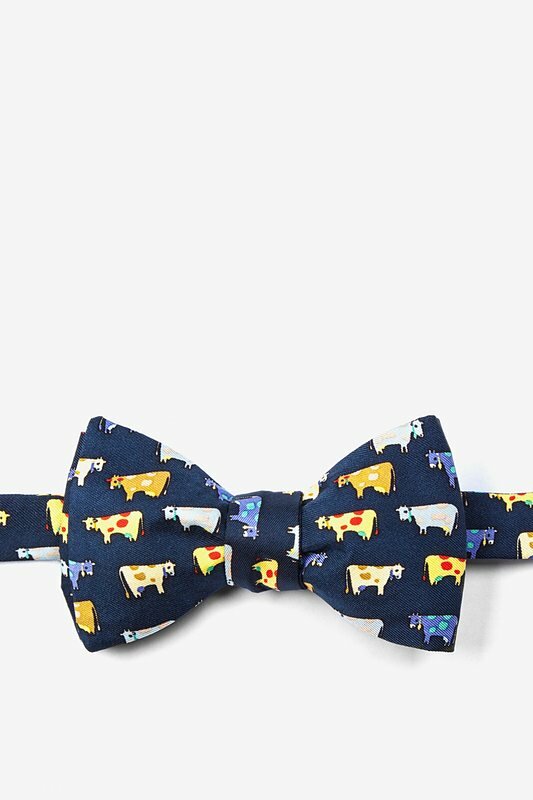 The whimsical Moo Moo Bow Tie shows that your love for the countryside still runs strong even when you are away.